$48.95 This item is selling for $48.95 on eBay. 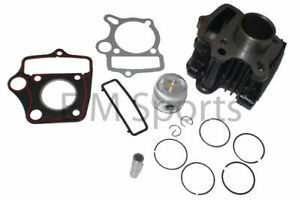 Brand New - Aftermarket - Cylinder Kit Fits 49cc 50cc - Atv, Quad, 4 Wheelers Fits Redcat 50 models Great PRICE!! Original Price 114.95 Buy it now for 58.95 with shipping already included ! !